Add country charm and stay clean in style with this quirky and fun design on aprons for men and women! 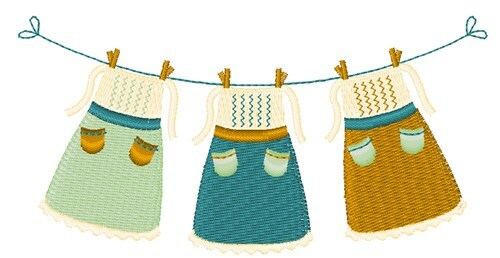 Hopscotch is happy to present Aprons Clothesline machine embroidery design which has 7546 stitches and is [101.54 mm x 52.12 mm] large. If you would like to view more embroidery patterns please search on our embroidery designs page.